It’s no secret that the South West is facing a major skills gap across a number of sectors. From Brexit and its impact upon skilled economic migrants, to low unemployment rates increasing the demand for candidates, there are several factors contributing to the current shortfall, with business management and the digital sector believed to be particularly at risk. And for the region in particular, there is the related issue that it has the largest ageing population in the country. The over-50s make up 41.7 per cent of the population, and by 2028 that figure is predicted to rise to over 44 per cent. Of this 50-64 age group, 74.4 per cent are in employment – and this is where the skills gap is emerging, most notably at managerial levels. Therein lies a key opportunity. 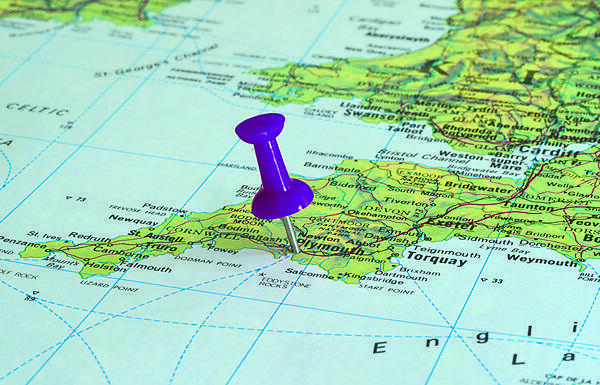 As a 2017 KPMG report found, while employers in the South West are happier with the education levels of employees than other areas of the UK, there was a noticeable deficit of skill at the managerial level. Currently, only 29.6 per cent of 50-64 year olds in the South West have a further or higher qualification, significantly lower than the national average of 35 per cent. The government has tried to address this by encouraging companies to commit to employing and developing older workers. The centrepiece of this strategy are higher and degree apprenticeships, which bring together universities, colleges and employees to create bespoke, funded work-based education programmes at higher levels. While the term ‘apprenticeship’ might bring to mind ‘young school leaver’, the inherent flexibility of the degree apprenticeship makes them ideal for career development at any age. So, whether a person has climbed the management ladder from their original trade or technical expertise, are returning to work after raising a family, or just want a career change, their wealth of knowledge and experience is integrated into the course. The University has launched higher and degree apprenticeships in Chartered Management, Digital Technology, and Healthcare, with several more in the pipeline. It is working with employers and apprentices to create tailored programmes that are unique to their role, incorporating their specific aims and goals to address knowledge gaps and meet ambitions. The University is also using funds secured from the European Social Fund to enhance the accessibility of its apprenticeship offer, whilst encouraging and supporting participation from a range of learner groups, including the over-50s. In a dramatically changing higher education landscape, higher and degree apprenticeships offer a re-energised approach to making the most of employee potential. And in doing so, they can help to bridge that skills gap and provide a valuable boost to the region’s economy. Designed by employers for employers, our work-based higher and degree apprenticeships address skills gaps, staff retention issues and support succession planning. Adaptable by nature, and utilising Government funding, they can be used to upskill your existing employees including senior management, as well as to attract new talent to your organisation. Combining a high-quality education with work-based learning and ongoing professional development, the knowledge your employees gain can be directly and immediately applied to the workplace.